Life in the provinces of ancient Egypt is often seen as secondary to life at court and at the major power centres, but in this fascinating study, Deborah Vischak demonstrates that a detailed exploration of one Old Kingdom provincial community, set within its own local context, reveals a far more interesting diversity in the daily life of Egyptians living during this period. The island town of Abu (Elephantine) had a unique role within the Egyptian state, being the southern- most town in Egypt and far closer to Nubia than the state capital of Memphis (some 500 miles to the north). The town was a strategically important base for military, quarrying and trade expeditions into Nubia, and its population included a significant number of soldiers, some of these described as “Egyptianised Nubians”. The local elite of the late Sixth Dynasty built large decorated tombs on a raised outcrop north of the town, in a cemetery now known as Qubbet el-Hawa. These tombs and their reliefs have survived well, as has the extensively excavated town of Elephantine, providing a rare opportunity to study the funerary monuments in the context of the communities that made them. The author guides us on an indepth tour of the tombs of twelve officials from across the long reign of Pepy II, highlighting the structures, layout, texts and artwork, and analysing the diversity of styles used. While these officials held the usual Old Kingdom honorific titles (such as count, mayor and in once case Iry p’t or hereditary prince), the more traditional administrative agriculturalbased titles are absent (presumably as there was little agriculture in the area), replaced by titles demonstrating their responsibility for organising the expeditions into Nubia. Harkuf brought back “all sorts of perfect and luxury items” while Pepynakht Heqaib I was sent by the king to “devastate the land of Wawat and Irtjet”, indicating that relations between Egypt and Nubia at this time were mostly stable, but did become antagonistic at times. The tombs are also unique in depicting an unusually high proportion of people who are unrelated to the tomb owners – including images of priests of the Ka-cult and other members of the community, with five of the tombs including the subsidiary burial of a lower ranked official under the patronage of the tomb owner. What emerges is a picture of a close-knit community of people who recognise their unique role and importance to the Egyptian state, who are constantly aware of the Nubian threat on their doorstep and who as a result have bonded more closely than other provincial centres, as described in a quote from Jan Assman: “Nothing forces greater closeness than isolation against a hostile environment”. The elite tomb owners recognised their importance as leaders of this “special community” and emphasise this role as an essential part of their own identities within their tomb art programme. Well illustrated with diagrams, black-and-white and colour photographs of the cemetery area and the tombs and their reliefs, and supported by extensive notes, appendices and further reading, this work should become a recommended text for academics and students, but will also appeal to anyone with an interest in life on the ancient Egyptian ‘wild frontier’. I very nearly had the opportunity to visit the turquoise ‘mines’ of the Sinai Peninsular a couple of years ago so I was very much looking to this BAR publication to provide some of the detail I craved about turquoise extraction during the Pharaonic Period. The publication starts with a lengthy preface which presents a study of the linguistic aspects of turquoise and how ancient references to turquoise can be identified and differentiated from references to other materials – an issue further complicated by the fact that as a naturally occurring mineral, turquoise can exhibit a range of colours between blues and greens. Chapter One presents a very thorough account of ancient turquoise mining operations (extraction, processing, transportation, tools and personnel and their accommodation) and the geology and landscape in which turquoise deposits tend to occur. It is interesting to note that in the Old Kingdom, expeditions were accompanied by military personnel for security. However, from the Middle Kingdom onward, there was considered to be no need for these security measures and the mining expeditions worked with the local population. Chapter Two then explores the ‘religious’ elements of the turquoise mining expeditions, looking at the role played by a range of divinities, as well as the use of different ‘magical’ or religious ‘formulae’ when prospecting for new turquoise deposits or extracting the ore. We are then taken back to the more familiar environment of the Black Land to explore the use and significance of turquoise within the culture of ancient Egypt and its use in ancient jewellery. The final chapter presents a detailed discussion of ‘Hathor: Lady of Turquoise’, addressing why this specific divinity became so closely associated with turquoise and the way in which the cult of Hathor is thought to have functioned. 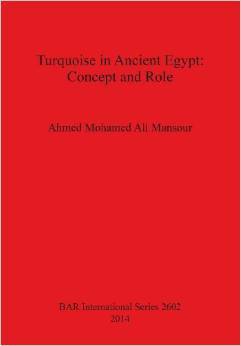 This, then, is a very comprehensive study which addresses every conceivable aspect of turquoise in ancient Egypt. From this narrow focus, it is possible to see how life in ancient Egypt developed as a complex multilayered web which integrated religion with so many everyday aspects of life in the Nile Valley and beyond. The ‘Lady of Turquoise’ is the subject of another work – this book a collection of material relating to the huge range of aspects and attributes of Hathor covering the whole period of ancient Egyptian history. Perhaps the most familiar of her forms is the human-headed goddess with cow’s ears, but she also had aspects as a tree goddess, a sky deity, a solar deity, the lady of drunkenness, the patron of music and dance, goddess of trade and protector of women, particularly in matters of fertility and childbirth and many others. The book covers all these and also catalogues all the names and epithets applied to Hathor at various periods and locations. Those listed on pages 15 to 19 alone number more than forty. This gives some idea of the vast amount of research which has gone into this book. As a source of material for researchers this is an impressive piece of work and the ten page bibliography would be well worth using selectively. It is not an easy book to read straight through because of its wide range and scope. It is divided into short portions. Readers looking for material on particular aspects of the subject would find the material accessible using the sub-titles for each section. There are studies of objects and rituals associated with Hathor, temple sites both directly connected and containing references to Hathor and a section on the alter egos of the goddess. 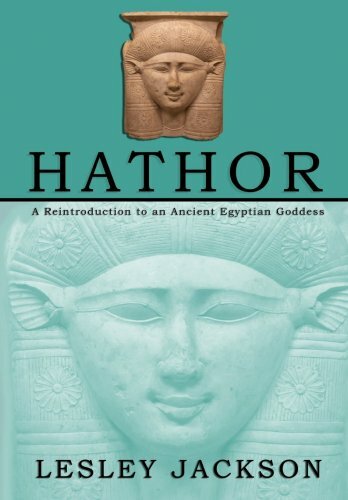 The book ends with a discussion of why Hathor’s popularity waned. Jackson’s answer is that Isis replaced Hathor in the popular mind. In Western tradition cows are not treated with the same religious respect as they are in the east so a cow goddess would not receive the love and respect offered to Hathor in ancient times. Perhaps it would be helpful to conclude this review with some of the author’s final words: “Hathor’s energy continues unabated and unimpeded. It is up to us to recognise it and acknowledge it, and having done that to enjoy the pleasure which she brings”. This is the first book to be published by the newly launched Abercromby Press, which specialises in academic Egyptology books. The subject matter may appear as dry and dusty as its papyri sources, but the subject itself tells us much about the community of workers who built the tombs for the pharaohs in the Valley of the Kings during the Ramesside Period. 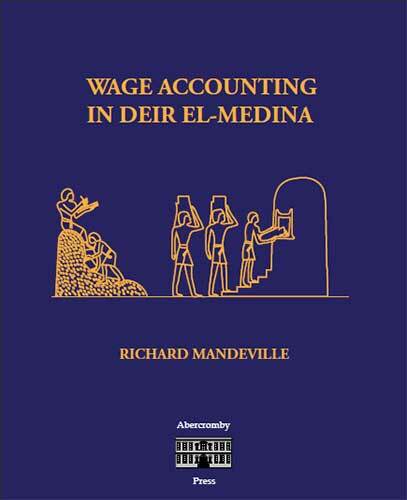 The author considers whether or not the payments made to village workers were actually ‘wages’, as we would understand them, or simply ‘rations’ to enable them to live and work for the pharaoh. Indeed there is so much variation in relation to both the amounts delivered and the timing of the deliveries themselves, that an in-depth study of this subject is long overdue. The text first considers the vocabulary used in the papyri and tries to establish the true meaning of many words in order to understand fully the method of accounting, before moving on to the chronology of the deliveries and the varied amounts actually allocated to different workers. Recording procedures are analysed, and accounting errors are considered as they are revealed by the texts. In short, this is a comprehensive and exhaustive investigation, and as such will be of use to a new generation of scholars who wish to analyse the payments made to the workers who enabled the pharaoh to exist forever in the Egyptian afterlife. 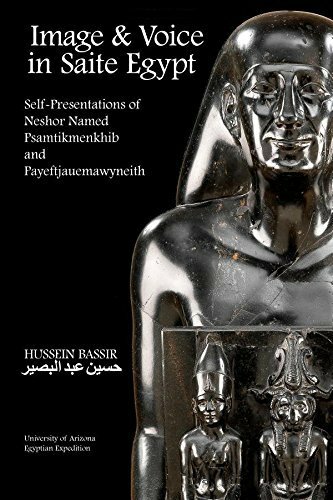 This book presents a discussion of the various monuments belonging to two noblemen – Neshor (named Psamtekmenkhib) and Payeftjauemawyneith – who lived during the late Saite Period (c. 589-525BC). For those interested in getting to know lesser-known – but nonetheless important – characters from ancient Egypt, this book presents a welcome opportunity to read texts in their original hieroglyphs, transliteration and in reliable translations. This is ideal practice material for learners of monumental hieroglyphs. Keen readers of Egyptian literature may recognise one of the statue texts of Payeftjauemawyneith from Miriam Lichtheim’s third volume of Readings, but these texts are likely to be new to most. Perhaps of greatest interest are the mentions of specific building work carried out by the noblemen; these give a flavour of the religious devotion of the period – or at least of claims to devotion made in self-presentations of the time. The author discusses in great detail what individual phrases and words mean, but also gives an overview of the strategy of making a monument – involving form, material and text. This holistic view of Egyptian monuments is very important, and it is good to see this methodology adopted here. The Late Period (c. 750-310 BC) is a still often-neglected phase of pharaonic civilisation (despite being, in this reviewer’s opinion, one of the most interesting) and deserves to be better known. Although some of the discussion is rather dense for a popular audience, this work is to be welcomed, especially from the pen of an Egyptian scholar born not far from the men he discusses. A deeper understanding of Egyptian history can only come from considering developments in other contemporary civilisations. 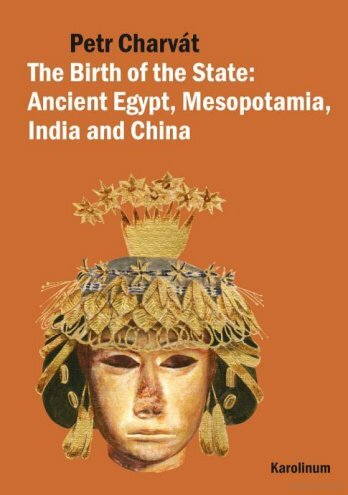 In this very readable book, Petr Charvát compares state development in Egypt with three other important world states, studying the economy, society, politics and religion of each in separate sections before drawing together all these strands to demonstrate “how a state is born”. Thus we have an overview of prehistoric Egypt and how the distinctive geography and natural conditions allowed a productive economy to evolve, although far later (c. 5,500 BC) than in the Near East (c. 10,000 BC) and with fewer Neolithic sites, and the evolution of a hierarchical society from the emergence of the Badari culture through to the early Egyptian state up to the Second Dynasty. The story then moves to Mesopotamia, which as its name suggests, was founded between two rivers (the Euphrates and the Tigris) where the ‘Fertile Crescent’ gave birth to the earliest forms of agriculture and the earliest social structure (the Halaf culture c. 6,000-5,000 BC) emerged with its beautifully painted pottery displaying checkered and star-rosette motifs. In India, the earliest settlements were found in the north-west along the Indus River with its large expanse of arable land, where settlement evidence dates back to the late eighth millennium BC (Pre-Pottery Neolithic), while in China the first prehistoric hunter-gatherer cultures were discovered near the lower part of the Yellow River (at Cishan in Hebei province) dating back to the sixth millennium BC, with the first Neolithic groups (the Yangshao) cultivating millet after 5,000 BC in the central area of the Yellow River. In bringing all this together, Petr Charvát argues against the generally held assumption that the fear of a lack of food drove the evolution of society, demonstrating how the earliest hunter gathers existed well on a virtually unlimited food supply from natural resources; he instead suggests that the early state offered its citizens something more than they had before: creature comforts and the right to public assistance, relative safety, a feeling of prestige in belonging to a powerful state and a shared religion to alleviate the “burden of uncertainty”. These factors are reflected in an interesting appendix featuring a selection of ancient texts written at times where the state was in danger of imminent collapse. Win a copy of this book in our photo competition on page 64 of the magazine. Hatshepsut often divides opinion with some seeing her as the rightful successor to the throne (being the daughter of the previous King and Queen) who upheld her rights in a male dominated arena while others see her as an ambitious, power hungry usurper who seized the rightful position of her stepson. 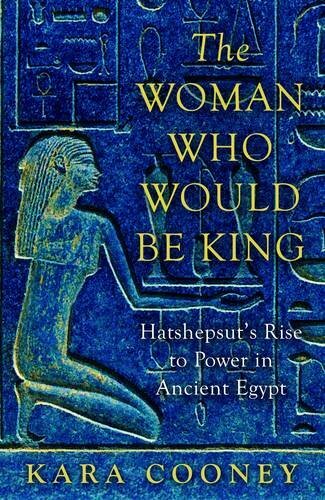 This book does not focus on this debate but instead on how Hatshepsut became King and the political machinations that led to the stability, power and wealth that her reign undoubtedly brought to Egypt. According to Cooney, female rulers have been much maligned historically, considered as anomalies who only achieved power through ambition, connivance and seduction, and branded as emotional, self-interested, untrustworthy and impolitic. As Hatshepsut “put everything to rights” and did not fail, she is an anomaly among anomalies. This makes it extremely difficult to understand her, especially as she was the first woman to rule Egypt for a significant period of time and she achieved this (as far as we can tell) without bloodshed or without seducing a famous general. As Cooney writes Hatshepsut “transcended patriarchal systems of authority, took on onerous responsibility for her family, suffered great personal losses, and shaped an amazing journey out of circumstances over which she had little control”. This book is the story of that journey. This story, of course, cannot be accomplished without some speculation and use of imagination to understand Hatshepsut’s motives and feelings. Cooney makes no attempt to hide this but has left plenty of scope for disagreement. She has tried to bring Hatshepsut to life in an unusual way: as a partly dramatised entertaining account of Hatshepsut’s life, but based entirely on historical evidence. Colourful, thought-provoking, imaginative and unconventional, this book is a good read for anyone interested in the enigmatic woman who became king of Egypt in her own right. Taneash holds a degree in Egyptian Archaeology from the University of Liverpool and is currently a Ph.D. student at the University of Manchester. His article on Ahhotep can be read in AE89. Read more about Hatshepsut in Joyce Tyldesley’s article on page 52 of the magazine. 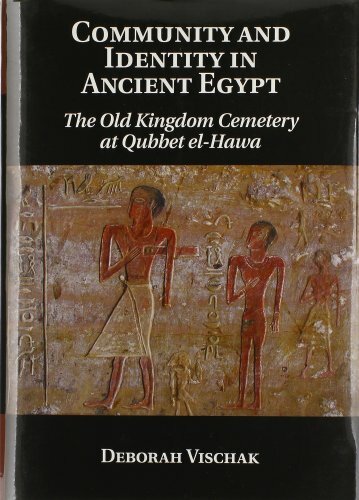 This book marks the first of several Egypt-related titles originally written in other languages and now issued in English translations by publisher Pen and Sword Archaeology. 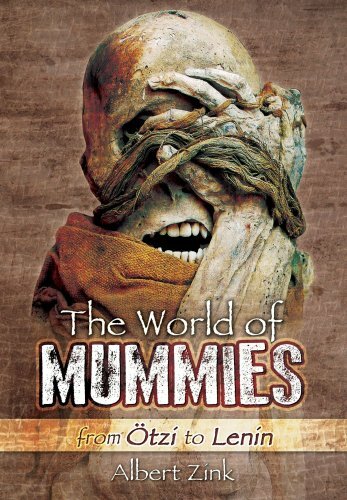 The World of Mummies provides a short introduction to the general reader on the scope and study of mummified remains from cultures around the world. It reflects the interest of the author, noted mummy specialist Professor Albert Zink, in the so-called ‘Iceman’ (‘Ötzi’) and other non-Egyptian examples. This allows Egyptian mummies to be seen in the wider context of a general human desire to embalm the dead, alongside the fascination modern people around the world have towards ancient human remains. A major focus of the book is the battery of scientific techniques used to investigate mummies. Egyptian case studies include the royal mummies of the New Kingdom, notably reviewing the recent analysis of Tutankhamun and Rameses III. For both kings, Zink and his colleagues detected sudden death – Tutankhamun from complications associated with an unspecified injury and Rameses III from a gaping wound to the neck, perhaps the result of a harem plot. Although the text is not referenced, an accessible bibliography is provided at the back of the book. Commendably, the text is accompanied by very clear photographs, often in colour. Hopefully English versions of more books like this will be available soon. 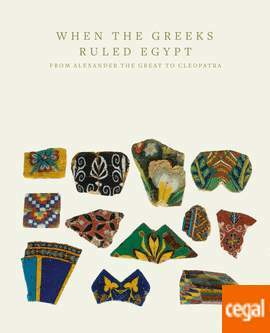 This is the beautifully illustrated catalogue for the recent exhibition at New York University’s Institute for the Study of the Ancient World (ISAW) and uses artefacts from a variety of American collections to explore the interactions between Greek and Egyptian cultures during the Ptolemaic Period. The illustrated checklist of exhibits is preceded by five essays: “Egypt after Alexander the Great”, “Written and Spoken Languages in Ptolemaic Egypt”, “Portraits of the Queens as Ptolemaic Self-fashioning”, “Dynastic Portraiture on Ptolemaic Coins” and “The Triad of Osiris, Isis and Harpocrates in Ptolemaic Egypt”. We discover how the Ptolemies adopted and adapted traditional Egyptian art, following the long-held formal conventions while also imposing their own taste; for example human figures were still shown as a composite of component parts (chest front on, face in profile, eye seen from the front, etc.) depicted in traditional Egyptian costume but with softer more fleshy outlines that reflected the naturalistic Greek sculpture style. One major change however came with the use of portraiture on coins, circulating around the Empire as “portable messages of power and royalty”, typified by the depiction of Alexander the Great as the son of Zeus Ammon with a ram’s horn curled about his ear. There was also a huge increase in the number of written records during this period, partly due to the efficient administration and also a Greek predilection for writing business letters. Many of these survive, such as the archive of Zenon son of Agreophon, an immigrant who served the finance minister Apollonios during the reign of Ptolemy II Philadelphos. The statue-portraits of the early Ptolemaic queens combined Egyptian and Greek styles to reflect their power and convey Ptolemaic values and aspirations, including beauty, love, knowledge and prosperity. Unfortunately the same style was used to represent various goddesses, making it difficult to distinguish the mortal from the immortal, although this was clearly the intention. Highlights from the catalogue include a faience statuette of Isis, a gold coin with a jugate (heads overlapping) portrait of Ptolemy I and Berenice I, a mosaic of a woman (possibly Berenice II) with the prow of a ship and the famous relief of a queen or goddess wearing the vulture headdress.